Grill everything to the perfect temperature every time. Even if you have one of the best grills out there, it can still be tricky to cook your meat just right. Having to throw your food back on the grill when it’s undercooked (or worse, tossing it out if it's overcooked) is annoying, which is why you should probably invest in a meat thermometer before the outdoor cooking season kicks off. 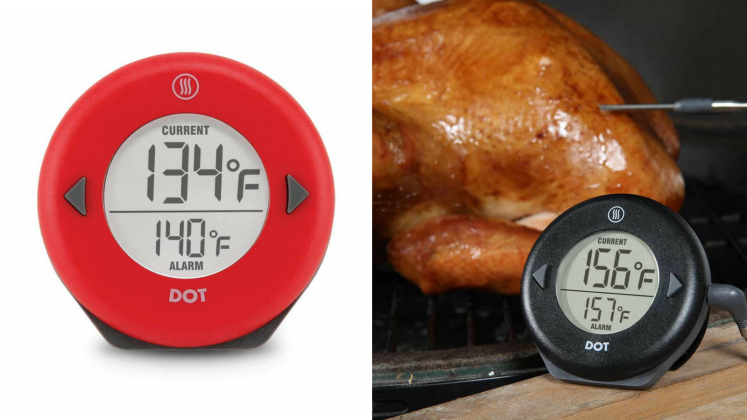 Right now, ThermoWorks is running a one-day sale for 20% off the DOT meat thermometer. This model usually goes for $39, but right now you can get it for just $31.20. This device has a long, heat-resistant cable that so you can monitor your meat's temperature even when the lid is closed and sealing in those smoky flavors. The probe can read temperatures up to 572 degrees and its cable is safe in up to 700-degree heat. The ThermoWorks ThermoPop is the best thermometer we’ve ever tested because of its quick and accurate reading, so you can expect similar results with the ThermoWorks DOT. 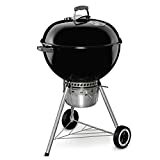 If you’re worried about getting your meats just right during your cookouts this summer, you may want to invest in this amazing grill thermometer while it's on sale.